You don’t have to look far to know that Chinese internet is one of the most restrictive in the world. With popular social media sites like Facebook, Instagram and others blocked throughout the country and messaging services Whatsapp, Line and more blocked, it’s a hard life being a Chinese internet user. Unblocking Chinese internet access is where a VPN comes into play. However, the difficulties don’t stop there because over the past few years the Chinese regime has gotten smart and they now actively block many VPN services. They also continue to play cat and mouse preventing those that are actively working around the blockades from offering an unrestricted connection. In this guide we’ll be exploring the top 5 VPN services that work in China this year and rounding them up with on the ground knowledge concerning their accessibility. Selecting a VPN for China is like selecting a VPN for no other purpose. All the regular requirements such as speed go right out the window. Finding a VPN that even works in China is a bonus so most features that you would usually look for no longer apply or seem relevant. To help you choose a working China VPN we’ve listed a few things you should consider before searching and definitely before signing up. Works in China – OK, this one seems obvious and should go without saying. But if you’re a visitor to China, you might not realise that most VPN services are blocked. It’s essential to pick one that’s confirmed as working… and not confirmed in 2016 either, one that’s confirmed working this year. Things change fast. Unique connection modes – The Chinese internet service is one of the best in the world in actively monitoring for VPN connections. Look for VPN services that work to evade the blocks and have unique connection modes just for internet users in China. Money back guarantee – A lot of times a VPN can be working and then all of sudden stop. Choose a VPN that offers a longer guarantee period, if you sign up and it doesn’t work for you, just get your money back. Local payment options – If you’re a Chinese resident or there for an extended period paying via a local payment method such as Alipay may be beneficial. However, how well these payment services are connected to the ‘regime’ is up for debate. You might want to weigh up the pros and cons of using local payment methods. Less popular services – Less popular VPN services usually manage to fly under the radar for longer than the popular ones. If everyone is talking about a specific VPN service that works then you can put money on it being blocked and fast. 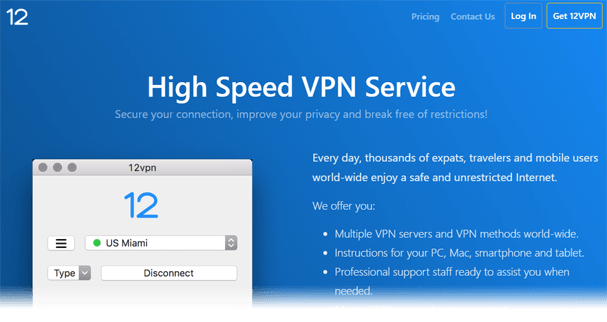 Avoid local VPN services – Chinese based VPN services need to be avoided at all costs. Not only could they be a honeypot but officially registered services are monitored which defeats the object. Those that are unregistered put the owners at risk and it isn’t unusual to see local VPN sellers fined or even jailed. Stay well clear. With both on the ground reports from China and individual service testing, we found the following five services to work the best in China. ExpressVPN – Our recommended choice! Below you can read detailed descriptions of the benefits and negatives of each service. ExpressVPN is our Editor’s Choice VPN for 2019 and it’s not without good reason. They are also our top choice for use in China due to their excellent speeds. Servers are available in some 94 locations including nearby Hong Kong and Taiwan. Our tests show that both HK3 and HK5 servers are best for speed purposes. 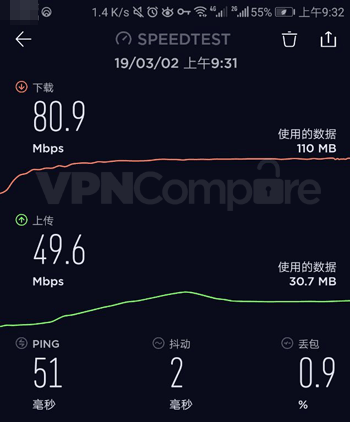 China speed test March 2019. There’s also a vast range of apps on the service covering all major platforms so whatever type of device you use you’ll be able to access in China. If you’re travelling to China ensure you install apps before you go as you could face difficulties downloading VPN apps in China itself. ExpressVPN offers one of the most extensive range of payment methods available including all the regular payment methods such as Credit / Debit Card and Paypal plus Bitcoin, AliPay, Union Pay, WebMoney and a whole host more. VPN.ac has been our go-to VPN service for some years and quite simply because they work and continue to work in China. This Romanian-based VPN service is lesser known across the VPN-sphere and in China itself. We’re a little apprehensive about letting this little-known secret out of the bag. One of the best features of the service is they have a dedicated “China Optimized” section. These are specific servers that work well in China. While they span the globe we have reports that show their Hong Kong and Taiwan servers work the best on the speed stakes. 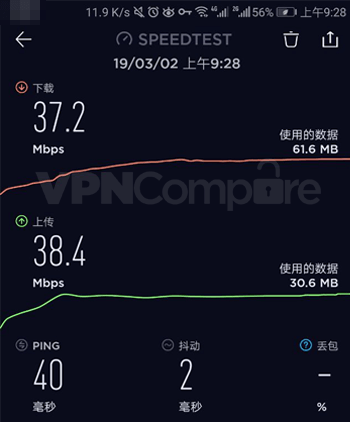 VPN.ac China speed results March 2019. There are a couple of other locations such as the UK, USA, France, Canada, Japan and Germany but your mileage may vary when using these distance servers. You can pay for the service using Bitcoin which if you’re in China is probably the best option. However local payment options such as AliPay and UnionPay are available. If you’re travelling to China then it’s best to sign up before you go and can use any of their payment methods including Paypal and Credit Card. Although VPN.ac have some outstanding deals on one and two year packages even they recommend for use in China you stick with short subscription periods of between one and three months. You won’t see 12VPN recommended on many VPN comparison websites and for the simple reason, most Chinese related VPN guides haven’t done any extensive on the ground testing. 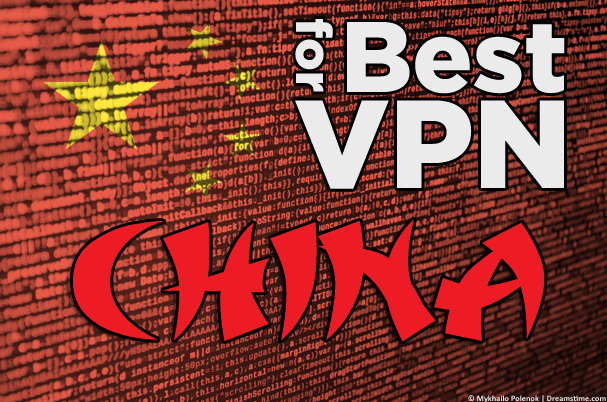 Our reports show that 12VPN is one of the best choices for use in China. This Hong Kong-based service is active in unblocking access across China and works to ensure their service is continually accessible across the country. Speed tests carried out show extremely favourable speeds. However, the best results are using Shadowsocks, so there’s a lack of privacy for the speed advantages. OpenVPN speeds are generally good but slower than ExpressVPN. 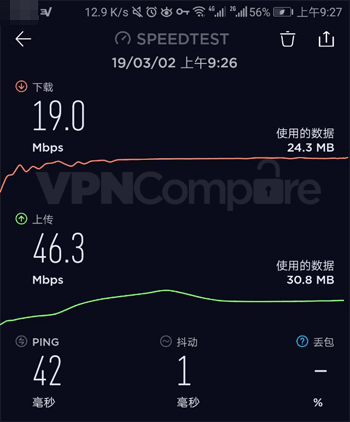 12VPN Shadowsocks speed results China March 2019. Payments are accepted using a variety of international payment methods and local payments such as Alipay and UnionPay. The service also allows Bitcoin payments which is excellent if you’re wary about signing up to a VPN in China or for use there. We found a really good resource over at TipsForChina where you can check out their results for 12VPN, Wireguard tests and other China related VPN information. Unfortunately, there’s no dedicated Android app so you will need to contend with installing various OpenVPN profiles if you wish to use their service on your phone. The service offers a range of VPN protocols including WireGuard plus a SmartDNS and an auto-proxy. Astrill comes a close fourth in choice for a VPN in China. Unlike VPN.ac they’re one of the biggest names in Chinese VPN access, but against all the odds they work hard to allow continued access to the outside internet. Optimised servers for the United States work well and while speeds may not be the best at such a distance, they’re generally acceptable and will allow you to unblock all the most popular blocked services. The service isn’t the cheapest available, especially when signing up by the month which is the recommended subscription period for Chinese users. However, to get any access at all in the country to outside services, it’s a small price to pay. All the regular payment methods are available plus Bitcoin, UnionPay, Alipay and Perfect Money. If you live in China or you’re already there then these local payment methods may come in useful. VyprVPN has been playing cat and mouse with the Chinese authorities for many years but their service continues to work well with some blips. Periodically the service gets blocked and you may need to wait a few hours (or days at the most) for service to resume. VyprVPN have been one of the most vocal in this regard and most active. If you’re looking for a service that actively works to keep their service functioning, then you’re in the right place. The unique Chameleon mode is especially useful in China. It’s a dedicated version of OpenVPN with modified headers that lets your connection fly under the radar making it look like it’s not a VPN connection. 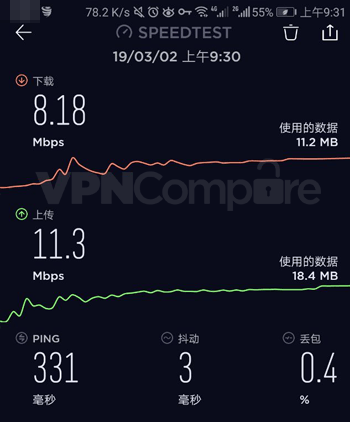 VyprVPN China download speed March 2019. The Chameleon mode is useful in attempting to thwart live blocks of VPN services and while it’s not a perfect solution reports show it works well. Plus it’s not available on other services. VyprVPN accepts payment via Credit / Debit Card, Paypal and AliPay. They also offer a three-day trial but you will need to enter some payment details to take advantage of this. Which VPN should you choose for China? Choosing a VPN for China needs to be critically thought about. Unfortunately due to the ‘Great Firewall of China’ accessing most commonly recognised sites is impossible. That’s where a VPN comes into play. While ExpressVPN has proven itself to be the fastest and best for China you may find that your specific needs call for a different VPN service. Below we’ve listed some of the most common usage scenarios in China to help you choose the best VPN for your needs for accessing a free and open internet. If you want the overall best VPN for China, choose ExpressVPN. With a range of nearby servers and local payment options, ExpressVPN is unrivalled. They’ve also got some of the fastest confirmed speeds in our recent tests. If you want unique modes for China, choose VyprVPN. Their Chameleon protocol is excellent at busting through the Chinese firewall. They’ve also got the bonus that they actively work to keep their service unblocked across the country. If you a service with local knowledge, opt for 12VPN. They’re lesser known in the western world and as they’re based in Hong Kong they have a greater insight into what works in China and what doesn’t. They’ve also got a range of modes suitable for access in China. If you want a lesser-known service, get VPN.ac. They’re a popular service that is lesser known across the industry. Coupled with their China-specific modes they’re able to fly under the radar while other services feel the blocking heat. If you want a risk-free test, choose VyprVPN or ExpressVPN. With a 3-day trial you can test VyprVPN risk-free to see it working. On the other hand, ExpressVPN’s huge 30-day money back guarantee gives you plenty of time to check the service without any risk at all. No matter which VPN you use in China it’s always going to be a hit and miss affair. Sometimes though there are options that you can change that both increase the reliability of your connection and the speed. One of the best to consider is the ‘Port’ your VPN connection is using. Most VPN apps allow you to change the port of the VPN connection and by testing various ports you may gain obvious speed advantages. Most VPN apps will allow you to change their port in the settings area. Through our extensive testing and research, we found ExpressVPN to be the best VPN for China, regarding speed and reliability. However, the other 4 VPN services listed in this guide also work well. You may need to try a few to get the best both for your location and types of usage. Remember, gaining any access to the outside internet in China should be considered a bonus. While some VPN services do offer good enough speeds to stream video, it’s often the case that whatever you get is as good as it gets.